As we all know that Donald trump recently announced military airstrikes in Syria and also trump launched warning for Russian president Vladimir Putin.In A major announcement, Donald Trump declared military action is taking place in Syria as airstrikes blast targets in a coordinated attack with the UK and France on the Assad regime. 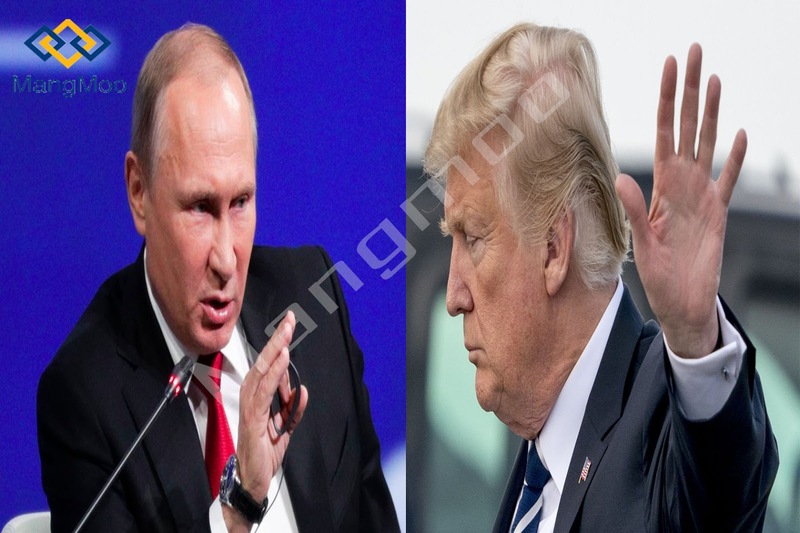 World war 3 fear is growing day by day, after Donald Trump press conference RUSSIA’s Ambassador has warned Donald Trump that there will be consequences for the US-led military strikes on Syria, adding that it was not acceptable to insult Russia's President. The US President said airstrikes against Syria are "underway". In a statement from the White House, the Republican said the strikes were in response to the alleged chemical weapons attack in the town of Douma last Saturday. He said: "A combined operation of the armed forces of France and UK is now underway. I thank them both. "These are not the actions of a man, they are the crimes of a monster instead. "We are prepared to sustain this response. "To Iran and to Russia I ask, what kind of a nation wants to be associated with the mass murder of innocent men, women and children? Several explosions have been heard in Damascus and smoke has been seen rising over the east side of the city according to eyewitnesses. Statements were also released by Theresa May and Emmanuel Macron.Mrs May said there was "no practicable alternative to the use of force" to deter the use of chemical weapons by the Syrian regime. Adding that "every possible diplomatic channel" had been sought before the decision to launch targeted strikes had been taken, she said: "This persistent pattern of behaviour must be stopped - not just to protect innocent people in Syria from the horrific deaths and casualties caused by chemical weapons but also because we cannot allow the erosion of the international norm that prevents the use of these weapons. "It is about a limited and targeted strike that does not further escalate tensions in the region and that does everything possible to prevent civilian casualties. Tensions between the US and Russia have almost reached a breaking point as the crisis in Syria puts the Middle East on a war footing. Vladimir Putin's envoy vowed Russia would retaliate if Trump’s administration was to launch a missile strike on Syria. The latest fallout between the old rivals follows a suspected chemical attack in Syria last weekend. At least 60 civilians were killed after "poisonous chlorine gas" besieged the town of Douma on April 7. The chances of World war grew day by day if the Russia and USA don't stop warming each other, Both countries are the superpower and also if they both countries don't stop then World war 3 is not too far.